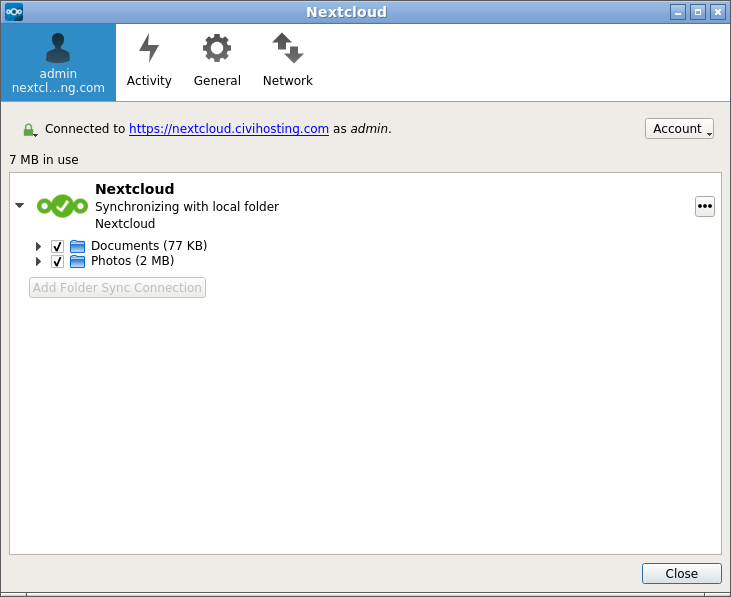 The Nextcloud client is a program that runs on your computer or phone and, once configured, mostly just runs by itself “in the background” and synchronizes the files on your PC to those on the cloud. 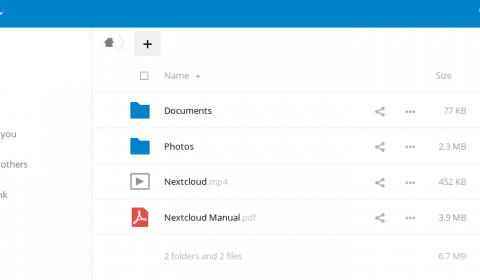 That means that if you edit/add/remove a file from your “cloud” folder on your PC then the same thing happens to that file on your online cloud. 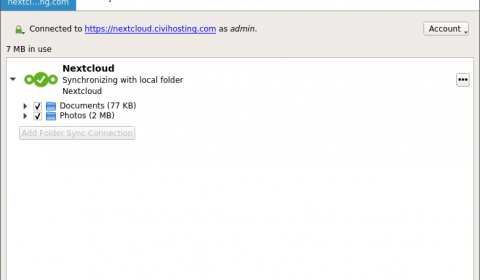 Also of course if someone edits/adds/removes a file from the online cloud, your PC will be updated with that same change. 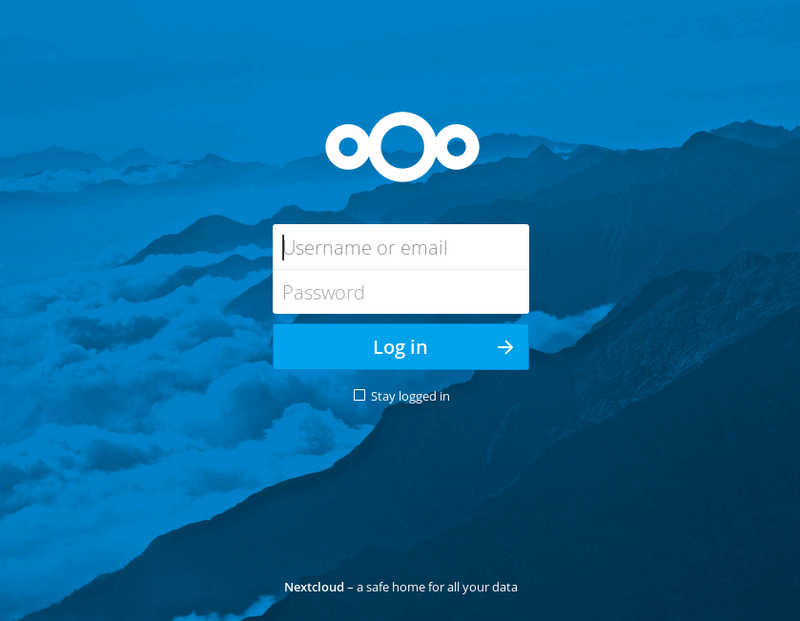 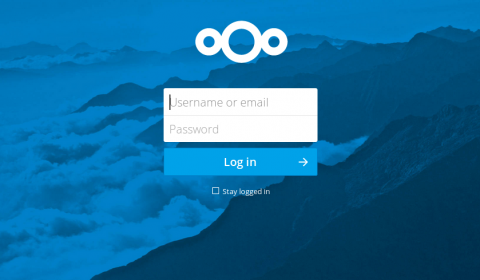 For details how to install the Nextcloud client, see our How to Install Nextcloud Client post.